LAST Saturday my daughter reported to me good news and what could be bad news. 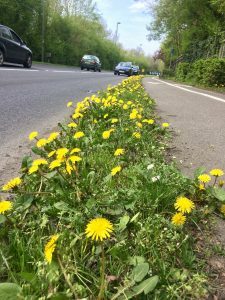 She had driven along Lockfield Drive and the narrow strip of grass on which dandelions had been slaughtered over the last couple of years was a mass of bright yellow. The bad news was that she had seen a man with a strimmer.